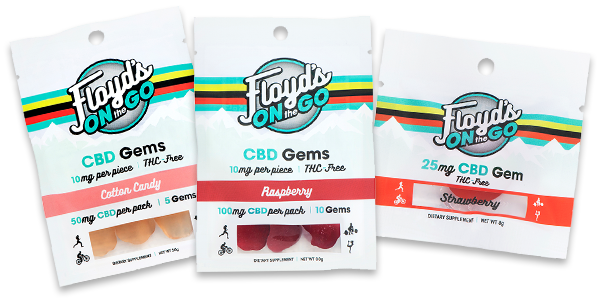 Floyd’s of Leadville’s new lineup of chewable Gems is now available, offering yet another way to Relax and Recover when you’re in a hurry or traveling. The gummy-style Gems are highly portable for on-the-go THC-free CBD infused goodness in a variety of flavors, dosages and packaged individually and in sachets of five or ten. Offering all the same benefits as Floyd’s existing line of CBD products in a chewable form, Gems are easy to have onhand and available when you need them most. While small in stature, Gems pack the same mighty CBD punch to combat muscle aches & tiredness, inflammation and help promote better sleep as Floyd’s other Isolate products. 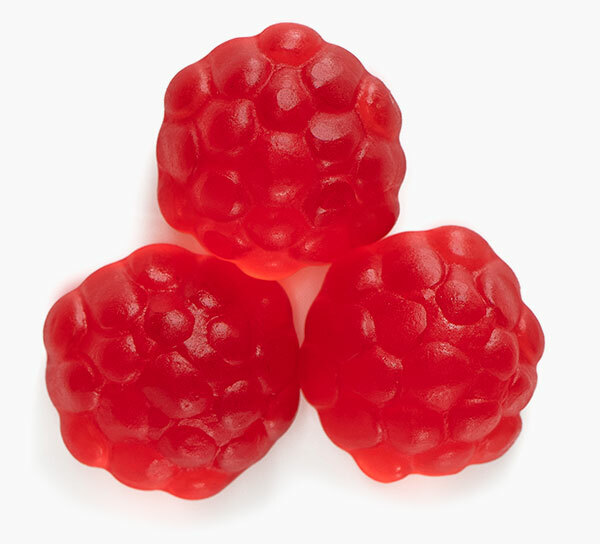 10mg CBD Gems come in packs of five (50mg of total CBD) or 10 (100mg total CBD), with 12 packs per box (600 & 1200mg total CBD per box, respectively), in strawberry, raspberry, and cotton candy flavors. 25mg CBD Gems come individually packaged in strawberry, blue raspberry and green apple flavors, with 24 per box. Why those flavors? We market-tested chilli-cheese, but couldn’t quite get the taste right. These seemed like safer bets. You can expect the same, high-quality hemp-based CBD in the gems that you’ll find in all Floyd’s products: grown and manufactured in Colorado, Non-GMO goodness. Buy now at FloydsofLeadville.com or ask your favorite retailer that carries Floyd’s products. Are these better for during a ride or post-ride? Hi, Paul. We recommend taking 10mg of CBD or less before your ride, otherwise take more than 10mg of CBD after your ride. Thanks!